Lizz Wright is an American jazz/R&B singer and composer. She is famous for winning considerable regional acclaim after joining the music group Spirit. Lizz gained popularity for her performances as part of a touring Billie Holiday tribute. Lizz was born on 22nd January 1980, in a small town of Hahira, Georgia. Her father served as the pianist and musical director at the church. She started singing gospel music and played piano in the church in her early age. After that Lizz gained interest in Jazz and blues. Lizz enrolled at Houston Country High School, where she was involved in choral singing. She received the National Choral Award in school. She then attended Georgia State University in Atlanta to study singing. Lizz then studied at The New School in New York and Vancouver. Lizz Wright began her career as a singer. She joined the vocal quartet In the Spirit in 2000, which soon achieved critical acclaim. In 2002, Lizz signed a recording contract with the Verve records as a solo artist, where her musical composition and vocal style. 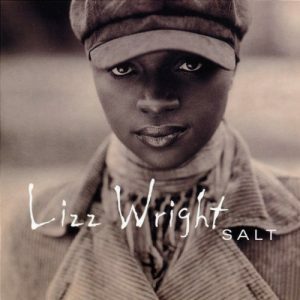 Wright released her first album Salt in the spring of 2003 that made to number two position on the Billboard Top Contemporary Jazz chart in 2004. Lizz's next release keeps up with the jazz and pop blend while including folk music. In June 2005, Dreaming Wide Awake and reached No 1 in the Top Contemporary Jazz chart in 2005 as well as 2006. Lizz made a guest appearance on the Tools Thielemans album One More for the Road in 2006. Wright released her third album The Orchard in 2008 which received positive reviews. Her fourth album released in 2010. She then moved to Concord and released Freedom & Surrender in 2015. Currently, she is busy with her world tour for her album and performing her jazz songs from her albums. 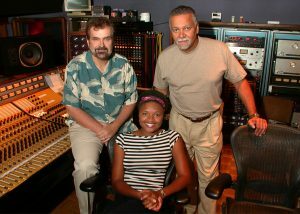 Lizz Wright was rumored to be dating composer, late American pianist Joe Sample as they were spotted together repeatedly. However, neither of the two accepted nor declined the news. According to some reports, talented singer Lizz currently is possibly single, or she keeps her personal life away from media. Lizz Wright has a charming music fan worldwide ever since she appeared on the late pianist and composer Joe Sample’s 2002 disc, The Pecan Tree (Verve). Lizz albums forge Wright to illuminate her dynamic soul through the layers of passion and playfulness found within the songs.With her marvelous creations, she surely earns an attractive salary. Her income sources mostly hail from her albums as well as from her concerts held around the world and by this, we can assume that her estimated net worth to be around million.